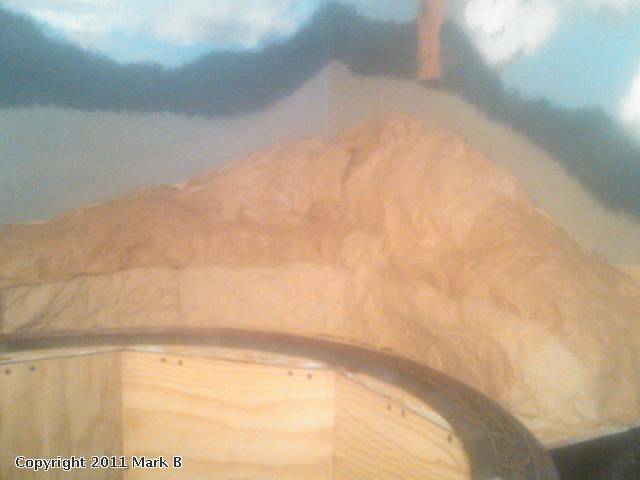 Here is my main mountain in the layout which is 12 x 6. 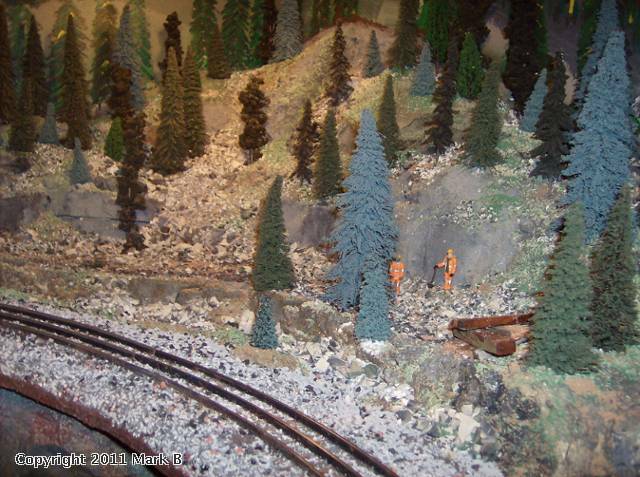 You can see the tunnel at lower right. 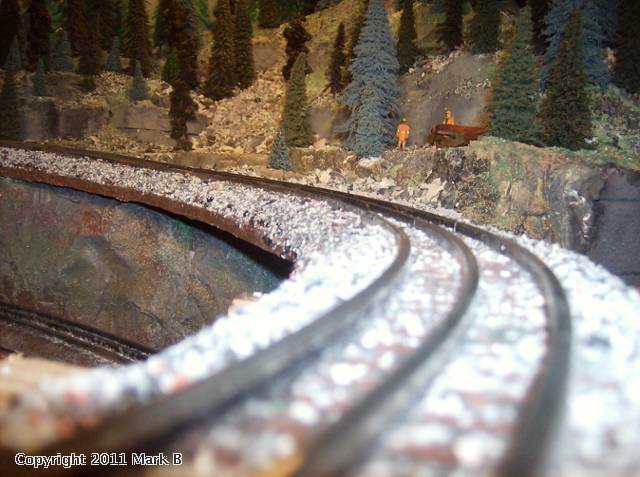 Track is Fastrack customized. 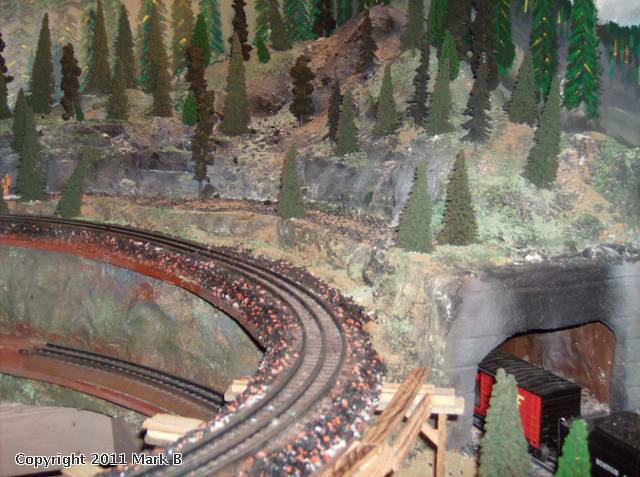 Ballast is Brummy's out of Ohio(various size cuts of rubber and colors--great product!). 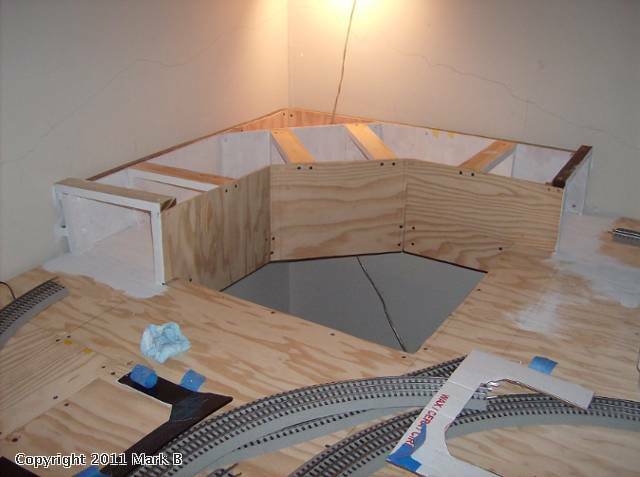 I'm also including some shots of the early stages of construction. 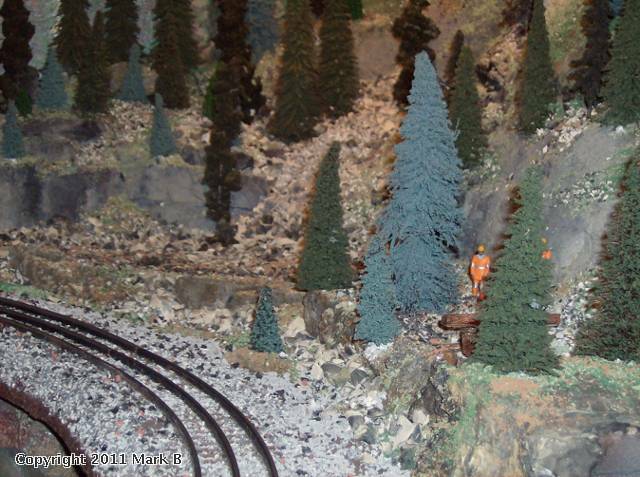 I've got about 80 trees on this part of the layout and must say it is the most rewarding part of railroading. Constrution used the typical weaving of cardboard strips over crumpled up newspar/grocery bags. Ove that I put crumpled grocery bags(which looked pretty good by themselves) and then dipped blue shop paper towels in plaster of paris. 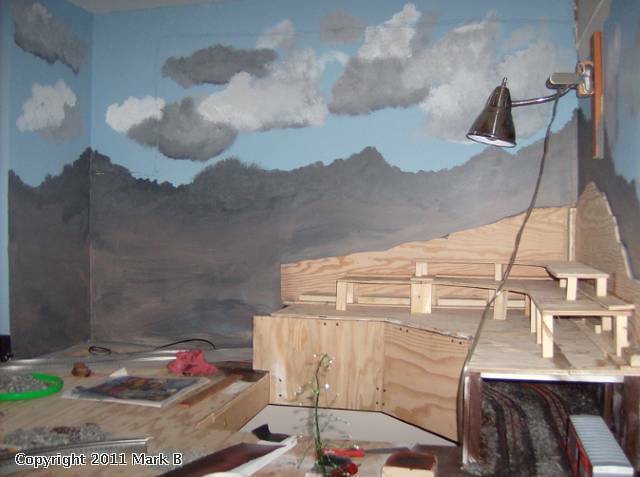 Some of the rock walls are Western Scinc molds. I use those alot and have jsut two. By flipping them upside downm, cutting them in half you get a lot of milage out of 2 molds! 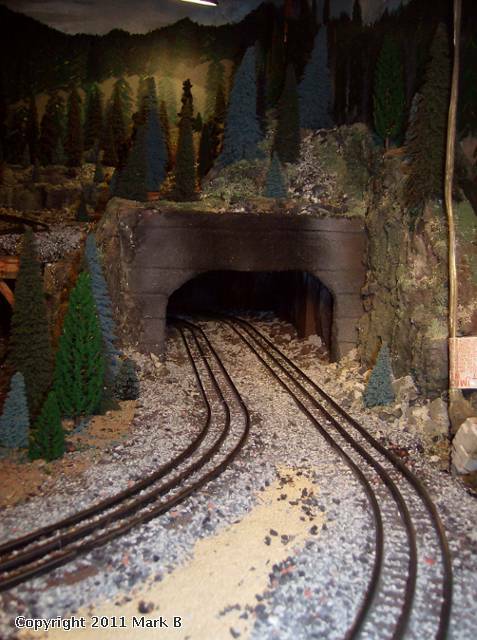 Hi Mark - just wondering if you have any more photos of this tunnel, perhaps from the other finished end?